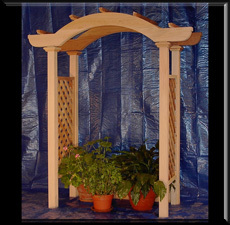 All arbors are available in custom sizes, with both 4" (standard) and 5" construction. At Maxcraft, we construct our top quality arbors from clear, kiln dried Western Red Cedar, waterproof glue, and stainless steel nails. Arbors come unfinished and lightly sanded and are ready for staining, if desired. 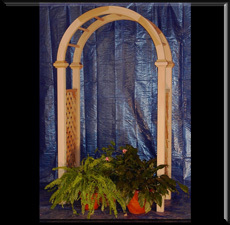 Arbors can come as complete kits, single arches, or individual components.